This series is a most compelling read. Once started, it is difficult to put down even for a second. A story of love and religion and belief, this series is full of twists. Set against the backdrop of the modern day, the reader is drawn into a story with supernatural occurrences and strong beliefs. The protagonist, Rania is a strong believer in God and assumes that everything that happens is for a reason. She believes that all you need to do is have faith and pray and that at some point God will answer those prayers. Adam on the other hand is the true definition of an atheist. His experiences since childhood have moulded him that way and rendered him heartless. 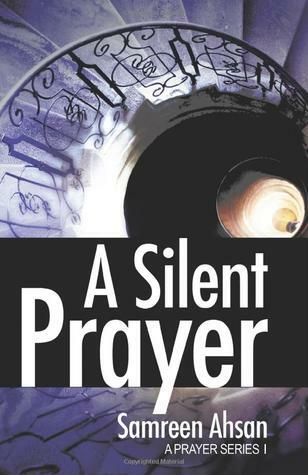 Rania brings faith into his life as he learns to love and face his demons. The reader is given insights into the Islamic culture but the overall message is the same, have faith and believe. Rania on the other hand learns to trust Adam and allows him to slowly break through her defenses. Every situation in this story is a result of some circumstance or someone’s reactions. A lot of insight is given into each of the characters in this story and they are built up well. Rania and Adam develop a relationship and as it progresses, she learns to trust him enough to share her secrets and he learns to be patient. Being a very wealthy man, Adam tries to shower Rania with gifts but all she wants is his heart and soul. This story focuses on how each character is ultimately forced to face their demons and come to terms with their relationships, be it Adam with his mother or Rania with her father. Some amount of supernatural existence is brought into the story with demons and angels and jinn as explained by Rania. 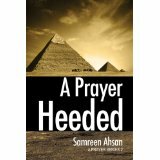 The author shows us that there is more to religion than just blind faith. There is a lot of understanding and patience as well as some amount of trust. Everything happens for a reason and that is reinforced in so many ways throughtout the series. The stories are split into chapters which tell the story from different points of view. It is sometimes from Rania’s and at other times from Adam’s point of view giving us an insight into the thoughts and feelings of each of the principal characters. The readers are also reminded that relationships built on trust and faith last longer. I would not say that atheists are wrong, it is just how they think, but reading this story will ensure the reader will stop and re-evaluate their ideas and beliefs. All this has been rendered without the author sounding preachy. A wonderfully written series, this is a brilliant set of books to read which will keep the reader hooked till the end. I am afraid that if I continue raving I will end up letting out most of the story. To avoid that I strongly suggest that everyone should grab copies of the books and bury themselves in the story.